The first annual Grass Roots Enterprise conference took place at the Oxford House a community space which support social enterprise in Bethnal Green. A hundred sector professionals attended the day and met community members, resident entrepreneurs and enterprise support agencies like the Enterprise CUBE. The Grass Roots Enterprise conference was entirely supplied by local companies, and resident start-ups who both supplied the conference and ran a lively resident marketplace throughout the day. You can find a list of all the local and start-ups at the event here. You can find read about all of the speakers from the conference in the event programme, or find links to their organisations for more information below. To download the programme for the event please click here. To download the leaflet for the event please click here. HACT is a national membership association for housing providers. HACT believes that the provision of housing must be about more than just bricks and mortar. They want to see housing associations reach their full potential in transforming their communities into resilient and confident places and changing people’s lives for the better. Nikki’s Business sweet education offers a customers a blast from the past in the form of sweets from your childhood. No matter what your age, Sweet Education can give offer you treat you once eagerly bought with hard saved pocket money. A.B. 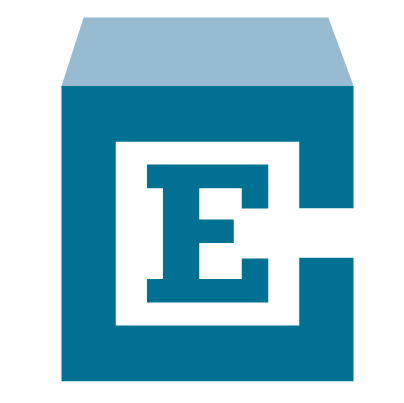 Enterprises is a hard working and fast paced badge making company. Christopher started the business from a London hostel but has already grown to take on partners and provide 1,000s of branded button badges for dozens of companies and events. Charles Oham is a Senior Lecturer in Social Enterprise at in the University of Greenwich. He is also a fellow of the Higher Education Academy and serves on the board of two social enterprises. Iain has spent much of his distinguished career achieving social change within the UK. As the head of Genesis Community he was in charge of all their community development and social regeneration programmes. Iain was also Director of Emmaus UK, a national homeless charity and a qualified solicitor with 25 years experience in commercial property and regeneration developments. Unlocking routes into enterprise is key to allowing communities to grow and flourish. Our four speakers each shared their own experiences of supporting individuals to create new enterprises, become self-employed or launch new community projects. You know who we are, we the Enterprise CUBE. We hosted the Grass Roots Enterprise 2013 conference to share some of the amazing work that housing providers and social enterprises are having. Housing Solutions is a leading provider of affordable homes in the South East, but thinks of its role as being far more than just a landlord. Housing Solution sees itself as an active and important member of the local community, where it aims to make a real difference to the lives of its residents. Barclays has a clear sense of its business purpose – to help individuals, communities, businesses and economies progress and grow. Barclays’ citizenship approach has supporting our communities at its heart, using their skills, time, money and expertise to support the communities in which they operate. Common Cause Exchange (CCX) is an online platform and community that enables people to donate professional services, support, equipment or small grants to people in marginalised areas who have a project idea but lack the means to start it up. Creating a community enterprise can offer many people a new future through a single business. Our presenters shared their experiences of creating innovative community ventures. ARHAG houses refugees and migrants from Africa, and people from the Indian sub-continent, Central and Latin America, the Middle East and Asia. In 2012, the Arhag ran an innovative project which combined training and support for residents with the opportunity to win a cleaning contract to deliver services directly to the housing association. Our Croydon is currently working with several partners to renovate empty homes in Croydon, creating homes for homeless families and paid work placements for people from homeless backgrounds. In 2000, Staying First joined Shepherds Bush Housing Group and has grown to encompass a wide range of innovative services including; a home improvement agency, furniture re-use, housing advice, benefits & debt advice, small repairs and a community health project. Many of the strongest community initiatives have an enterprise or employment as a key element of the design. In this session we heard from some of the founders of these ground breaking projects. Their talks explore the potentially wide reaching impact of an enterprising approaches to achieving community goals. Through fun and informative workshops, ech2o work with occupants of buildings to effectively change their behaviour to become more water and carbon efficient. We enable tenants to understand their own water and energy usage and therefore the best ways to save money on their bills. Repowering South London is an exciting not-for-profit community organisation that specialises in facilitating the co-production of community-owned renewable energy projects. 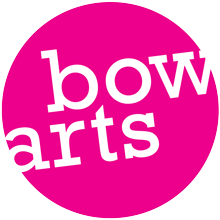 Bow Arts’ mission is to support community renewal in East London by delivering Arts and Creative Services through a financially sustainable social enterprise model.